Allied Home Mortgage was once the largest privately held FHA lender in the United States. It wrote more mortgages than many big banks. That all came to a crushing halt in November 2011 when the U.S. Department of Justice intervened in a False Claims Act claim filed by a former branch manager turned whistleblower. At the same time, HUD took its own action to shut down the lending giant. Allied didn’t go quietly into the night. It has fought vigorously for years. Shortly after being sued Allied tried turning the tables and suing the government. After years of high stakes maneuvering, the case will soon head to trial. It’s doors long closed, Allied Home Mortgage and its affiliates maintain that they did nothing wrong. The government seeks up to $2.4 billion in damages and penalties. Thousands of employees claim that they haven’t been paid. Most of the one we spoke with blame their plight on Allied and its owner, Jim Hodge. Many large lenders are able to write mortgages backed by the FHA. Investors typically won’t buy a loan without insurance. The government, Fannie Mae, Freddie Mac and several private insurers provide this insurance. Mortgage insurance is necessary to quickly sell mortgages. If the loans didn’t sell, banks would run out of money to lend. In other words, insurance makes investors happy and keeps the money flowing. In exchange for being allowed to participate in these loan guarantee programs, lenders like Allied must agree to very stringent underwriting guidelines. The FHA, for example, won’t insure a loan written to somebody with bad credit or buying a home with no money down. These same rules also require that a certain percentage of loans be sampled within 90 days of closing. The independent quality control, or “QC” process, is designed to quickly detect problems with loan quality and paperwork. Finally, HUD and the FHA also want to know who is writing the loans Every branch must be registered. HUD can’t conduct an inspection if it doesn’t know where a branch is located or who works there. Some lenders engage in so-called “net branch” or “unregistered branch” schemes where loans are written at one location but doctored to make them appear they were written from an approved location. This may not seem like a big deal but loans written at unapproved branches usually have much higher defect rates. The FIRREA statute was passed in the after of the 1980’s savings and loan crisis. It allows prosecutors to hold banks and other lenders civilly responsible for a wide variety of misconduct. In this case, one provision of FIRREA says that any person or entity that is “connected in any capacity with [HUD]” is prohibited from making “any false entry in any book, report or statement of or to [HUD]” with the “intent to . . . deceive any officer, auditor, examiner, or agent . . . of [a] department or agency of the United States.” In layman’ terms, lying to HUD is a crime. The government suggests that it can hold Hodge responsible even if he did not directly make any of the alleged false statements. 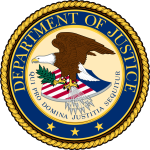 According to the Justice Department, an individual who “aids, abets, counsels, commands, induces or procures another individual to violate federal law is liable as a principal for the underlying violation.” That means even if Jim Hodge is shown to have directed or caused someone else to prepare or submit the false statements, he is equally liable under FIRREA. To prove the QC claims, prosecutors say they will present evidence establishing that Allied failed to conduct the timely quality control reviews required by HUD. In 2009, HUD initiated a review of Allied Corporation’s quality control procedures. In order to hide Allied Corporation’s failure to perform timely quality control reviews from HUD officials, prosecutors say Allied created records that falsely indicated that quality control reviews had occurred. To prove the false annual certifications FIRREA claim, prosecutors plan to present evidence showing that Allied Capital, in the fiscal years ending on June 30, 2004, 2006, 2007, and 2008, and Allied Corporation, in calendar years 2003 through 2010, falsely certified that they complied with all HUD-FHA regulations necessary to maintain their approval to participate in HUD’s insurance programs. They say that Mr. Hodge, as President of Allied Capital, personally signed such the 2008 certification. The False Claims Act is a Civil War era fraud statute. That law prohibits anyone from “knowingly” presenting, or causing to be presented, a false or fraudulent claim for payment or approval. Finally, regarding the unregistered net branches, prosecutors say they have evidence showing that, in more than 900 cases, Allied Capital and Mr. Hodge entered or caused to be entered a false “Lender’s I.D. Code” on HUD loan forms. They also say that Allied Home Mortgage even created internal policies to allow branches not registered with HUD to certify loans for FHA insurance by associating their loans with HUD ID codes from registered branches. Stell has since settled with the government and is widely expected to testify at the trial later this month. We agree with Mr. Bharara and believe that Allied’s thousands of honest, hardworking employees are also losers too. Five years later, all parties but Hodge’s former employees will finally get their day in court. What does Allied have to say? Plenty. Regarding the net branch violations, Hodge and Allied say, “This theory of liability illustrates why many Americans have a low opinion of government regulation.” They say HUD “never really cared” about unregistered branches. In fact, they say that most HUD employees can’t even explain the regulations. The case will soon be in the hands of a jury. Congress wants mortgage brokers, underwriters, loan officers and others with information about misconduct to come forward. If you have inside information about fraud or misconduct involving a Fannie, Freddie, VA or FHA loan scheme, give us a call. While most awards to date have been on the underwriting side, we expect the next wave of cases will involve loan servicing misconduct. or by telephone at (414) 704-6731. All inquiries are protected by the attorney – client privilege and kept confidential. *We represent the late Peter Belli, the original whistleblower in this case. BREAKING: See full coverage of the jury verdict and subsequent punitive damages award here.